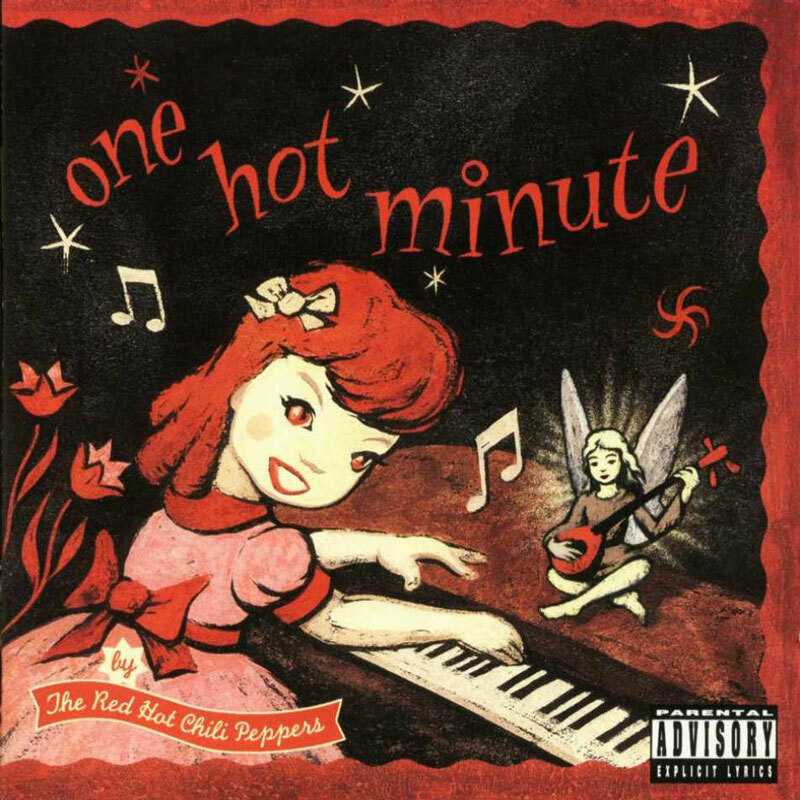 One Hot Minute is an album by the Red Hot Chili Peppers. Released on September 12, 1995 by Warner Brothers Records, this is the only RHCP album to feature Dave Navarro as the band’s guitarist. Stephen Perkins appears on this album, performing on the track One Big Mob. A recording of Dave’s younger half-brother Gabriel James Navarro crying also appears on One Big Mob. Aside from the standard version of this album, there is an advance/promo version, and a Japanese import with the bonus track Melancholy Mechanics. There is also a “tour pack” edition that comes with a bonus disc including an interview from a July 1995 appearance on Australia’s JJJ Radio. There is also a version with a holographic 3D cover, and a sampler cassette. On May 15, 2012, Warner Brothers released a remastered version of One Hot Minute. This limited edition double 12″ red vinyl version comes with a “lenticular 3D” cover, and was remastered by Bernie Grundman.